AP 27-30 HUGE DISCOUNT $185 NT RENT! Easy Access to Ahhh...The View!!! Luxury Deluxe Log Cabin with paved roads. Less than 3 miles to downtown Gatlinburg - Light #3. 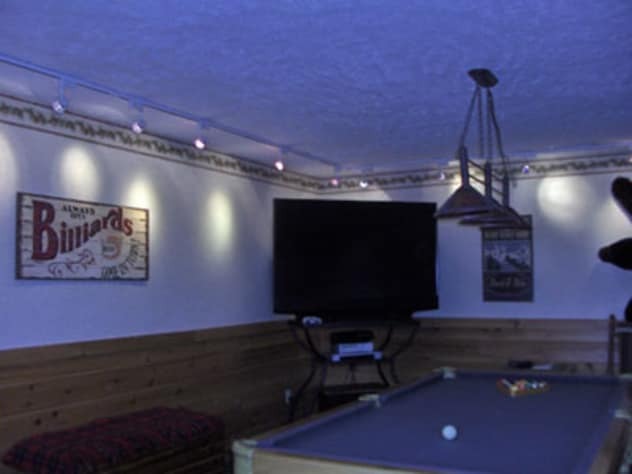 Come make our cabin your home base as you experience the magic of the Great Smoky Mountains and quaint beauty of Gatlinburg. 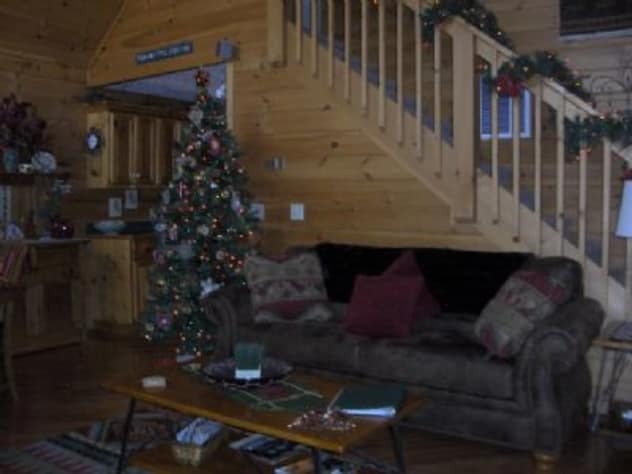 Our family vacation cabin, nestled on a side of a mountain, is located in an all Log Cabin Resort Community. Family fun and togetherness is waiting for you. 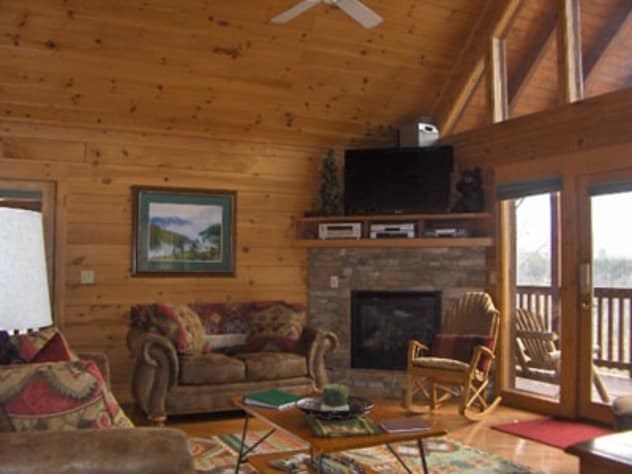 There's something for everyone in the Smoky Mountain, Gatlinburg, Pigeon Forge Area - Just view the links page on our owners website for some ideas! Our family of four just stayed at Barbara's beautiful cabin last week. We had such a wonderful time on our first visit to Gatlinburg. 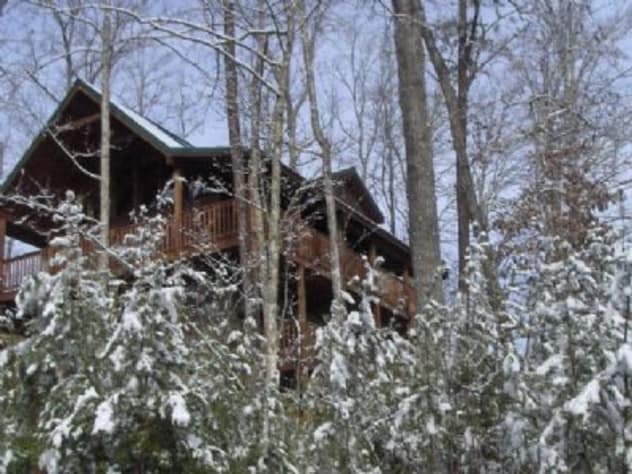 This cabin is perfectly located just a few miles outside of Gatlinburg, in the mountains. The view from the rear decks are truly amazing, we couldn't get over how pretty the setting was. It is an easy drive into the neighborhood & up the roads to the house. It was important for me not to have to navigate really windy or hilly roads to reach the cabin. We had no problems whatsoever. 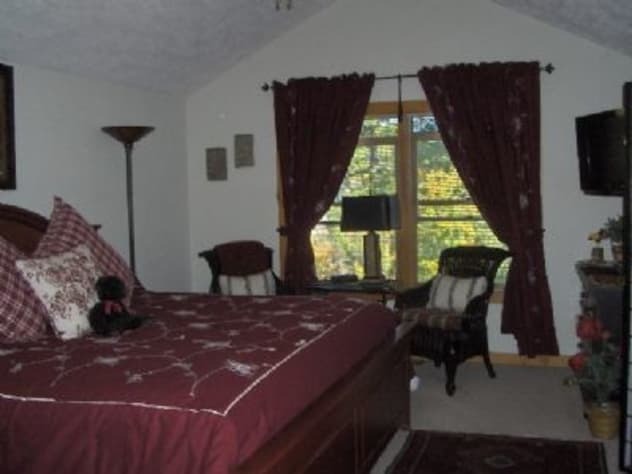 The cabin is very beautifully decorated with three king master suites, one on each level. The hot tub is perfectly placed to enjoy the amazing views. We found everything to be in good working order and had no problems. 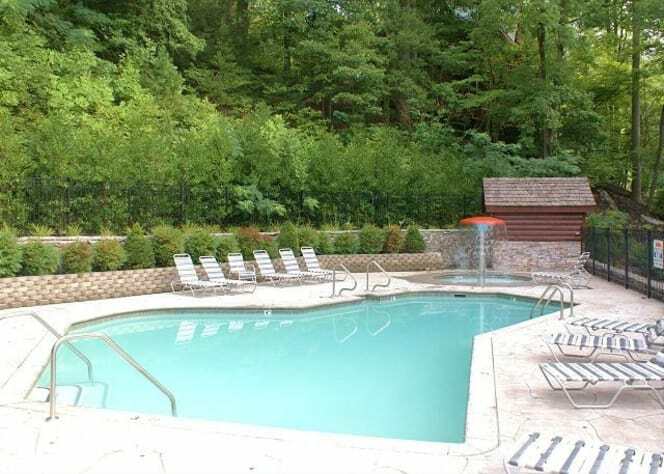 We loved the grill and cooked out often during our stay, but we also enjoyed being close enough to Gatlinburg to dine out several times as well. We found all the beds to be very comfortable and the cabin is very clean. We enjoyed an easy two hour ride to Asheville one day, to visit the Biltmore! We also did ziplining, white water rafting and horse back riding, all close to the cabin. Plus we were an easy drive to the Smoky Mountains, which we toured a few times. We enjoyed Clingman's Dome & Cades Cove loop road the best. 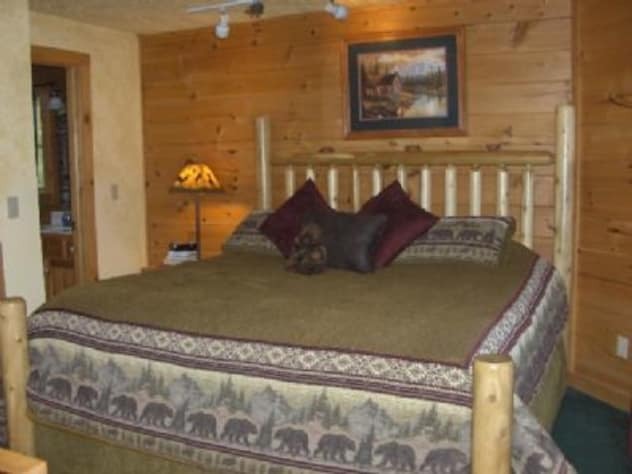 We highly recommend this cabin and hope to come back again! It was like a home away from home! Thanks Barbara! 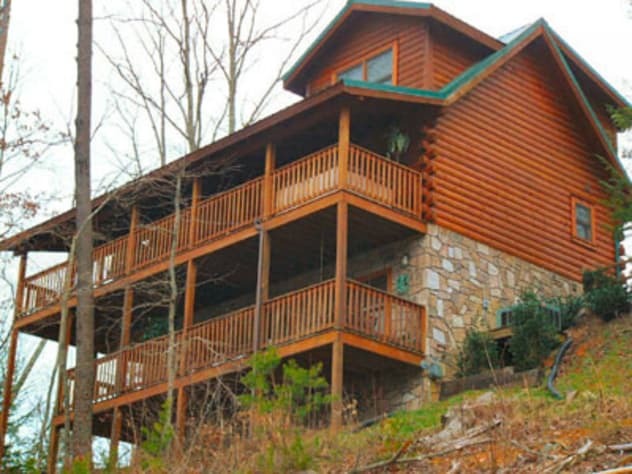 This is a beautiful and well-appointed mountain cabin with incredible views! It was our second time at this cabin and we'll be back again. 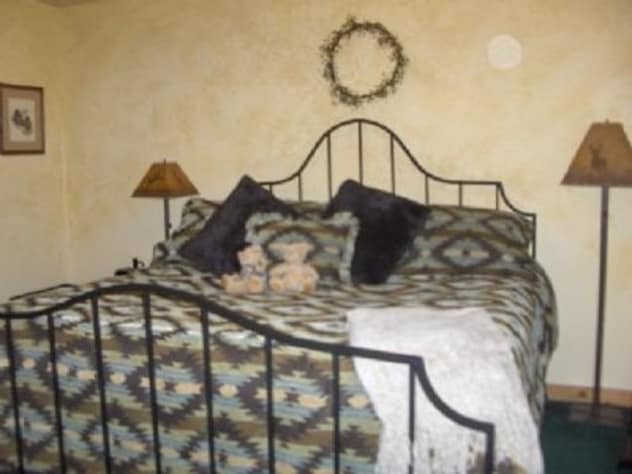 The owners are very responsive and concerned about their property and the satisfaction of its renters. Loved the cabin and the view! We always love staying at the Murray’s cabins. 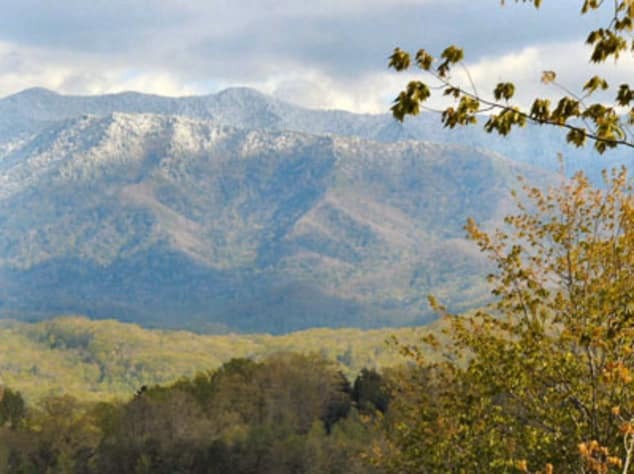 They have such wonderful views and so close to Gatlinburg, but you still feel way up in the mountains. Love the cabin and so enjoyed our time staying this past weekend! Always clean and so nicely decorated, Barbara is so sweet and very helpful in arranging everything for arrival and checkout process! Definitely will be back to stay again! !